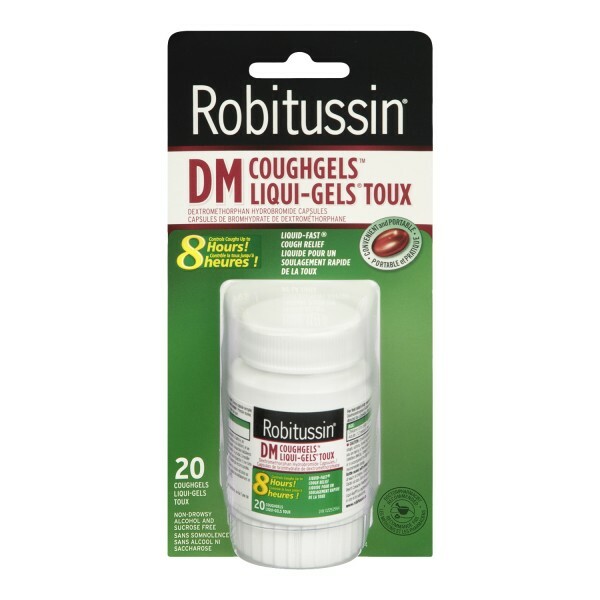 Robitussin DM CoughGels provides long-lasting, non-drowsy dry cough relief for up to 8 hours. Active Ingredients: Dextromethorphan Hydrobromide (15 mg). Take every 6-8 hours or as directed by a physician. Maximum 4 doses per day. Adults (12 years & over): 2 Liqui-Gels. Children 6 - 11 years: 1 Liqui-Gel. Children under 6 years: Consult a physician.